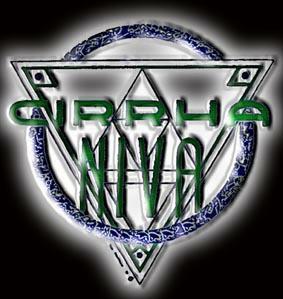 Cirrha Niva are such a promising band...they are a musically talented band with progressive tendencies, with musicians who can play well, write good songs, and are never afraid to experiment. The band have released a demo EP entitled "Enter the Future Exit", containing two new tracks, both pretty long and epic, and two live recordings done in December 1998. The band have got a lot going for them. Because of vocalist Arnold Kloek, there will be no middle way between loving or hating the band. His vocals leave an unmistakable impression; I can't get used to him myself, and most people I know and who heard anything he's done just strike the band right out of their books. If you can stomach Cirrha Niva's vocals you will love this band. The music is full of neat little twists and surprises, the odd bout of experimentation, and unmistakable musicianship. Check out their website, listen to a few soundclips, and make up your own mind.